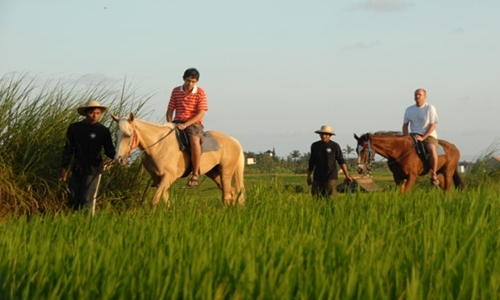 Bali horse riding is one of best way to see beautiful landscape of Bali island especially in Pererenan village. Horse riding tour offer different experience when you on the trip, walk along the beach and see beautiful beaches in Pererenan village, see beautiful rice field and visit local community, visit Tanah Lot temple which is popular tourist destination in Bali island builded on the rock in Tabanan beach which is offer beautiful view and spectacular sunset. Reservation is required 1 before.